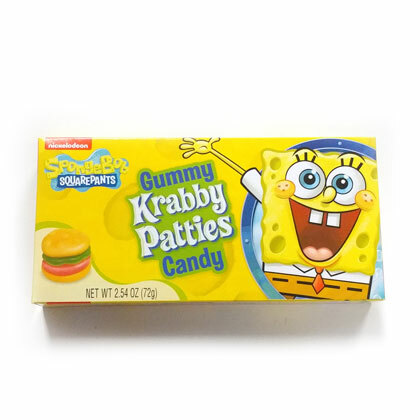 SpongeBob SquarePants gummy krabby patties candy. Nickelodeon. Net weight 2.54 ounces. My grandkids were so happy with the candy.